Just like coworking, but with a door. Arguably the best IT coworking space. We are a bit... different. Run like an IT startup. We used to be a cool SaaS startup like you, so naturally we built our coworkings like you would build a software product. By analyzing, prototyping, testing and iterating. Lots and lots of iterations... And bug fixing... *sigh*. Made by and for IT humans. We like all humans, but we know IT humans best. That's why we create IT-only coworkings where humans can grow and prosper while connecting, collaborating and sharing, within a passionate and friendly community. No credits, no upselling, no stupid nonsense. We are all-inclusive and always will be. We don't charge you extra for using a meeting room. Or for delivering your mail. You pay once and get access to all of our amenities. Simple as that. Top-notch locations, blazingly fast Internet, abundant natural light, custom-made desks, state-of-the-art AC/ventilation system, game rooms, meeting rooms, eating rooms, lots of rooms - all set in an industrial interior that's so gorgeous you'll want to fire your apartment's interior designer and hire us instead. We get it. Work is important. Not as much as sleep, but still important. That's why we designed all our locations to optimize the work of IT humans and make them feel good in the office. From lights adapted for long screen hours and triple secured Internet connection to ergonomic chairs, extra large work desks and easy access to good coffee, we go the extra mile to boost your and your team's productivity and efficiency. Meetings that produce results, not just notes. Investor meetings, brainstorming sessions, sales calls, you name it. We have the right spot for every occasion. All Puzl CowOrKing members enjoy full access to office booths, conference rooms, and lounge areas. We offer meeting rooms of all sizes, that have everything needed to spark your creativity and give life to your ideas. Events that bring value, not just beer. Your time is precious to us. That’s why we curate our events calendar to support your personal and professional growth. As a Puzl CowOrKing member, you get access to all the meetups, user group gatherings and workshops in the space. Also, if you organize free knowledge-sharing events for the IT community, ping us and we may support you with the venue. You gotta relax, yo. Don't burn out. Hard work is a virtue. Burnout is not. Our spaces offer plenty of communal areas, game corners and relax zones to tempt you into occasional breaks. Have a team lunch at the community table. Play a game of table tennis with a fellow coworker. Join the Wednesday yoga class or give a shot to the gym downstairs. The choice is yours, we've got the room. Renting a normal office is a huge waste of time. Set up an Internet connection, pay 7 different utility bills, find a guy to fix the leaking toilet, tell Bill it's NOT okay to steal your milk. It's a full-time job. Luckily, we can do that job for you and save you dozens of hours. Enjoy amazing dual redundant Gbit Internet connectivity. Every member gets a dedicated Ethernet cable. Expecting a delivery while you’re OOO? Worry not. We collect all mail delivered to our postal address and hand it to our members. Have a problem or an idea how we can do better? We'll gladly help you out. Just don't expect us to wash your coffee mug. Night owl? Deadlines? Don't like having a social life? We got you covered. Access your workplace any time, any day, 24/7. Upgrade or downgrade your monthly plan anytime. Our rental terms include a flexible monthly membership with a 1 or 3-month notice. Join us and we'll hook you up with exclusive perks and discounts from more than 30 online retailers, service providers, and restaurants. We unite the key players in the IT industry (startups, investors, service providers, freelancers) in an efficient and supportive community. Find beta testers for your new product, seek advice on fundraising, get valuable intros and connections, or just have someone to brag to about how you just made $4,000 from bitcoi-- AAAAND it's down 20%. Where people make an impact. We are but the sum of our vibrant community. Meet our members and learn how they make products and services people love. Setting the eCommerce data metrics bar high and doing your best to meet it. Building a highly customizable application development framework for B2B. Teaching managers how to keep in sync with their direct reports and stay on target. Our monthly membership plans work for teams of 1 to 50+ and let you be as flexible as you need to. Start with a large Team Desk and upgrade to your very own Private Dope Office as your business grows. Or just get a Flex Desk and stop by occasionally, for a change of scenery. Whatever your needs - we've got 'ya covered. Flex Desk is perfect if you want dive into the local IT community for a few days or finish a task you've been putting off forever. Come anytime, bring your laptop and get to awesome work. Tired of working from home or hopping cafeterias? Get a fixed desk in our shared space and focus on work without distractions. If you get bored, you can always enjoy the company of awesome coworkers. Extra-large desk for an extra-cool team. more seats for the new hires. a tailor-made office with the openness and community vibe of a shared space. We call it coworking with a door. Events can be a huge waste of time. That's why we curate our event partners and make sure their content is relevant to the IT community.  Check out our user-group meetups, weekend-long hackathons, skill-sharing events, and workshops. There's beer, too. How to get free $10 000 per month for Google Ads? 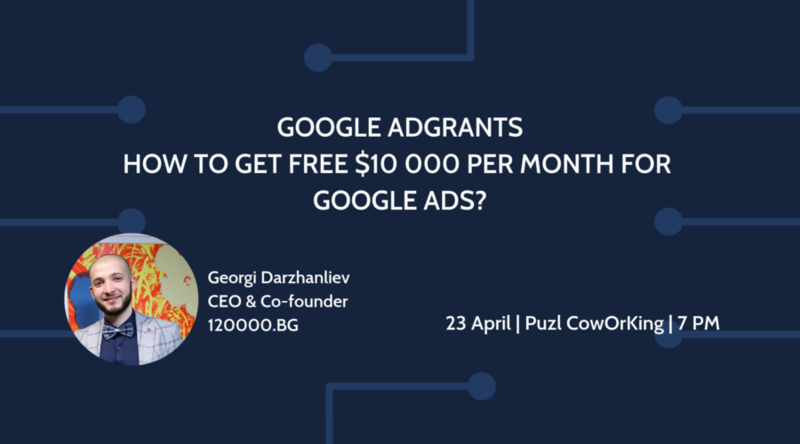 Join Georgi Darzhanliev, CEO and Co-founder of 120000.BG, to learn more about Google Ads, AdGrants program requirements and how to use the budget properly. 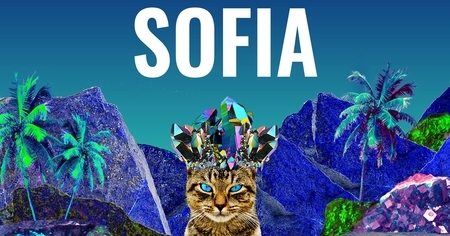 Join The Family in their next stop from their European tour - here in Sofia - and learn how to get access to the best of the European tech ecosystem. No matter if business pro or enthusiast - join a project during Startup Live Sofia, contribute with your skills & know-how and pitch your ideas in front of our investors' jury! We've upgraded our CTAs with .GIFS. (Hard 'G'!) You're welcome. 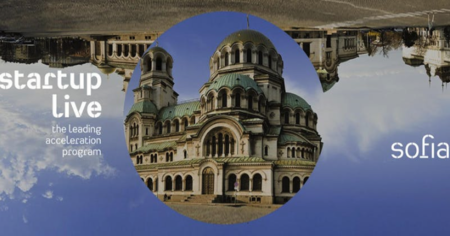 Built with love and milk in Sofia, Bulgaria. Now we comin' in peace to the rest of Europe.